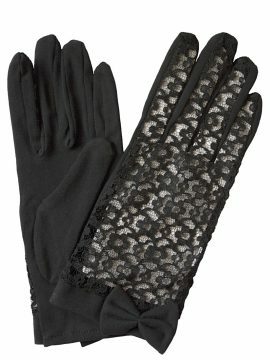 Just gorgeous – fine quality dress gloves by Dents that are a perfect accessory for occasion wear to complete your outfit, whether it is a vintage, retro or more contemporary style. 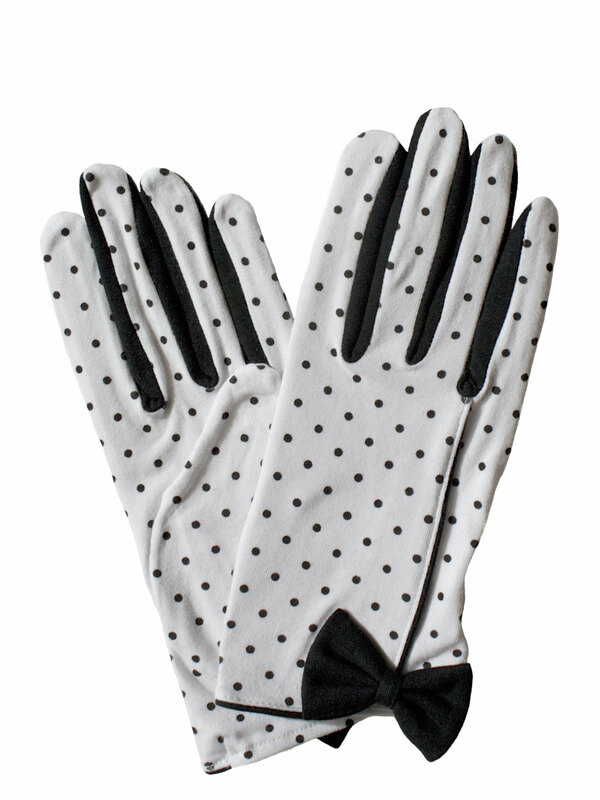 They are made in 100% stretch cotton and have a spotted/polka dot pattern on back and palm. A bow at the wrist and fabric between the fingers are in a contrasting colour. 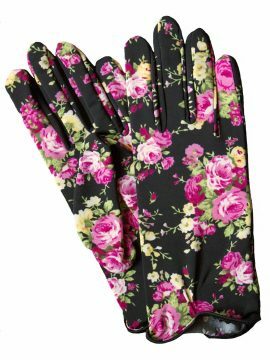 ‘One Size Fits Most’. 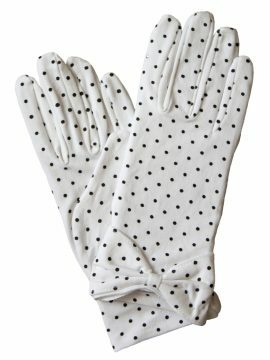 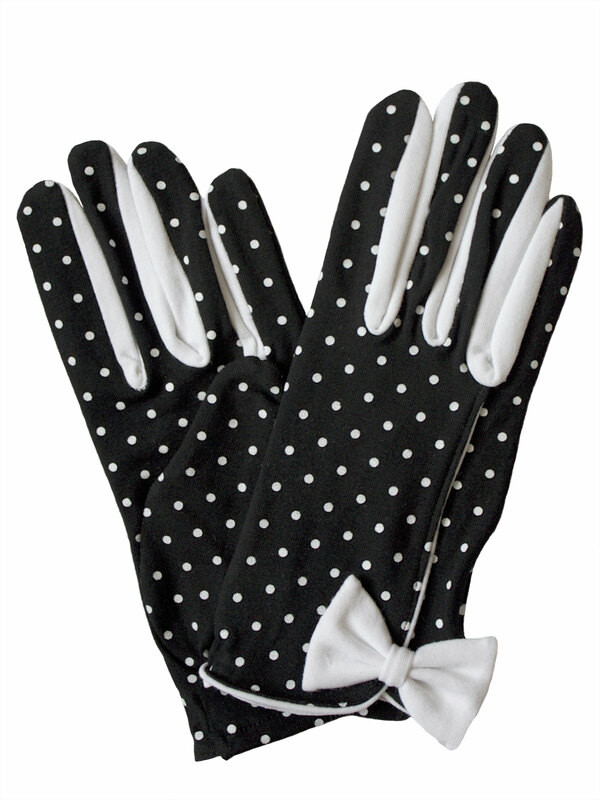 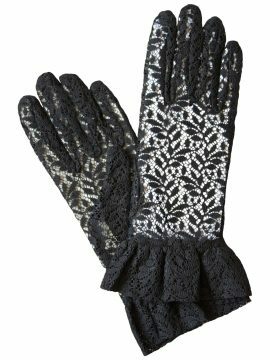 These are very pretty women’s spotted or polka dot dress gloves by Dents – reassuring fine quality. 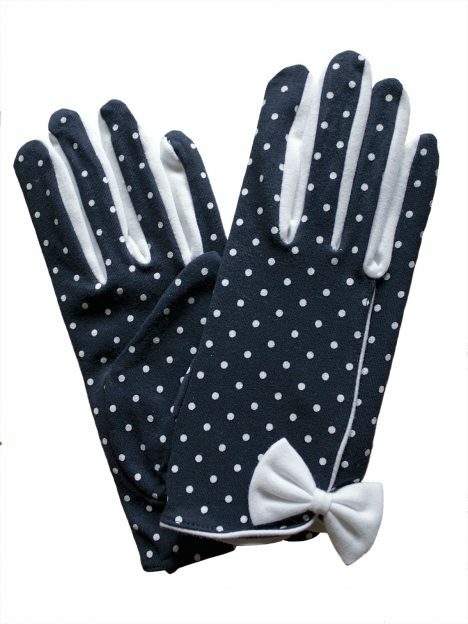 Made in stretch cotton, they are a perfect accessory for vintage, retro or more modern outfits, especially for spring and summer wear.